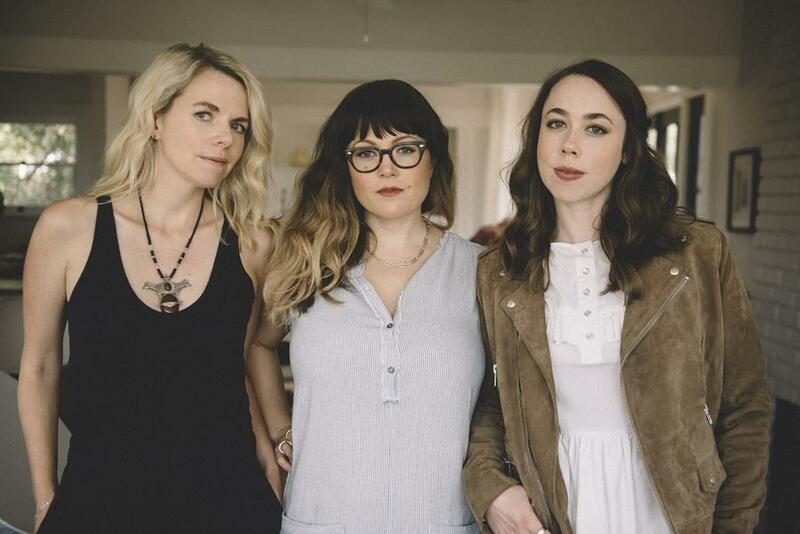 I’m With Her, the band of Sara Watkins, Sarah Jarosz, and Aoife O’Donovan, have released a live-video rendition of Adele’s “Send My Love (To Your New Lover)” – watch the video at Clash HERE. The performance (featuring Punch Brothers bassist Paul Kowert) was recorded at the Taft Theatre in Cincinnati in August during the American Acoustic tour. I’m With Her will be donating proceeds from the live recording, also available on streaming and download services, to Thistle Farms, a Nashville-based nonprofit that heals, empowers and employs survivors of trafficking, prostitution and addiction. I’m With Her unveiled their first original song, “Little Lies,” earlier this year – watch it HERE. “Little Lies,” written and produced by the band, was recorded this May at United Recording in Los Angeles, CA. It was recorded and mixed by Jason Wormer, and the video was shot by Todd Cooper. I’m With Her came together in 2014, and has garnered tremendous acclaim for their unique blend of instrumental interplay and indelible harmonies. They are currently working on their debut full length.